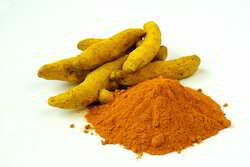 We are manufacturing high concentrated Curcumin 95%. Curcumin is brighly brownished yellow colored and may be used as a food coloring. As a food additives.Curcumin powder is soluble in alchohol. Looking for Curcumin 95% ?